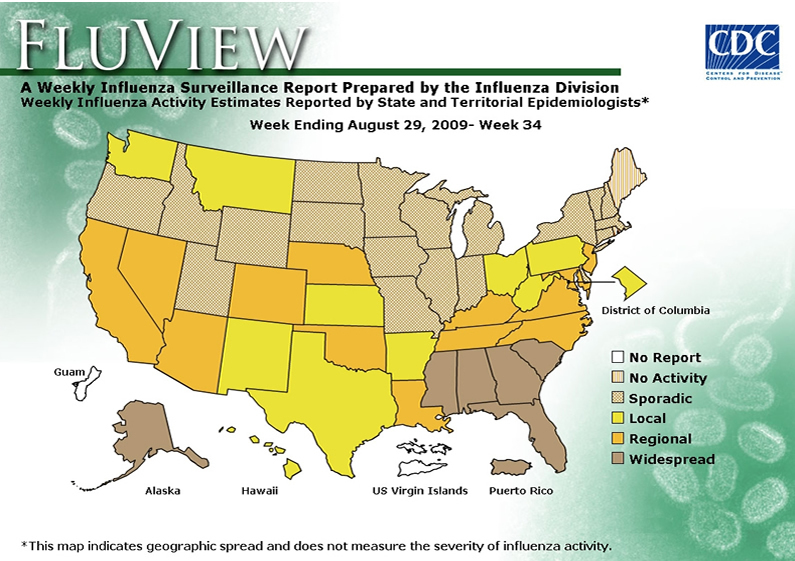 For more details about the data in the map above, see the FluView Surveillance Report for the week ending August 29, 2009. For information about how this map is updated, see Questions & Answers About CDC's Online Reporting. Friday at 11am. For state level information, refer to state health departments. to use its traditional surveillance systems to track the progress of the 2009 H1N1 flu outbreak. Questions & Answers About CDC's 2009 H1N1 Influenza Surveillance.